he river is supposed to rise again this weekend – could be more history in the making – 40 year high water levels! WOW! 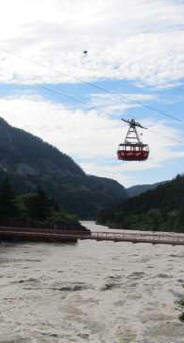 It’s a jam-packed Canada Day in Hope & Fraser Canyon! 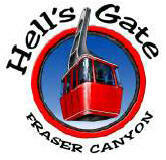 After you have perused over the vintage cars in Memorial Park and cheered on the competitors at the Strongman Competition, make your way up the Fraser Canyon to spend an afternoon with us at Hell’s Gate in the Scenic Fraser Canyon. A scenic drive through, Emory City, Historic Yale, Spuzzum (blink & you miss it! ), 6 tunnels, and your final destination, Hell’s Gate.